It is sports which has infused the believe and art of never giving up, despite all the hurdles in life. Wish to know more about what the likes of Les Brown, Tim Notke and other personalities had to say about sports? 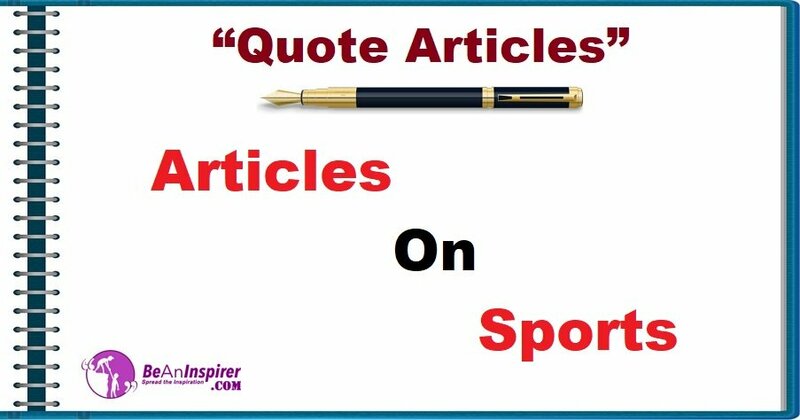 Read Articles on Sports in the Quote Articles section combined with nature photographs.